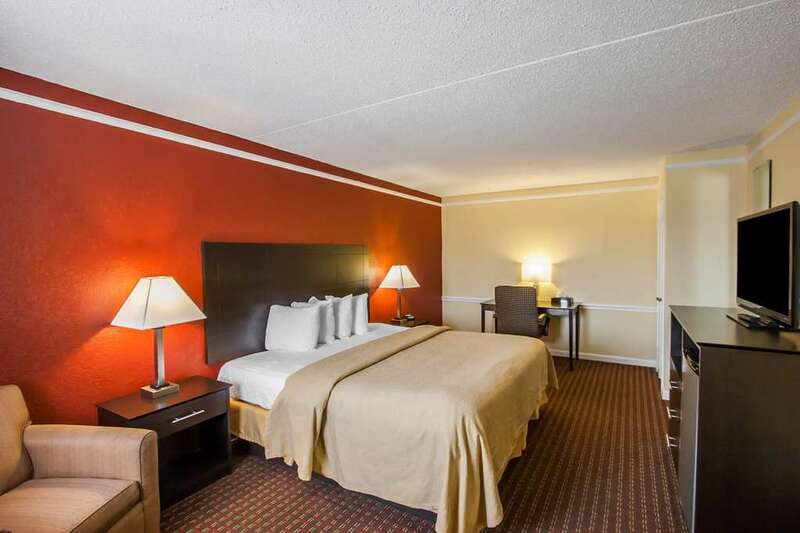 Get more for your hard-earned money at the pet-friendly Econo Lodge hotel in Memphis, TN. We are conveniently situated right near the Memphis International Airport, Memphis Rock Museum, Bass Pro Shop at the Pyramid, Memphis Riverboats, FedEx Forum and Rhodes College. You can count on amenities like free WiFi, free breakfast and a seasonal outdoor pool. Guest rooms come equipped with Q beds, Q showers, flat-screen TVs, microwaves, refrigerators, coffee makers, desks, hair dryers, irons and ironing boards. We also offer membership to the Choice Privileges Program, which gives members the opportunity to earn valuable rewards points toward airline miles, gift cards and free hotel room nights.